Last year I did a few training courses in London. I was quite fun, so this year I plan to do more. 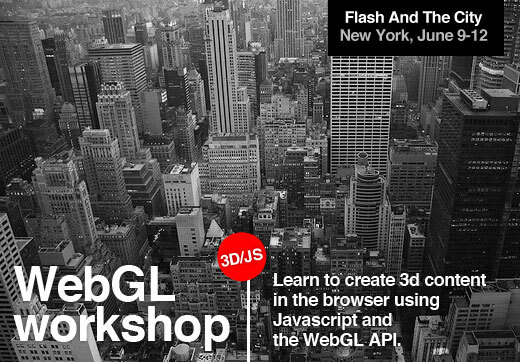 To start with, I’m preparing a new workshop about webgl. Ticket sales is over but it doesn’t say it is sold out..can I still buy one ticket…I literally just learnt this was going to happen. @Guillermo ah, that was actually last year! Only now I realized the post is not specific about that… I fixed it. AutomaticWebsite gives you custom web advancement new york arrangements that are worked for non-software engineers – enabling you to keep concentrate on your business instead of stress over how your application functions. We represent considerable authority in web streamlining, so that your business can run proficiently with web and portable applications. Custom assembled web applications for business efficiency. AutomaticWebsite will assemble your web application rapidly, more effectively. Construct effective, handle based applications to take care of regular business issues. We construct and create custom web applications for new companies through to big business level associations.